3 Bedroom End of Terrace For Sale in Bournemouth for Offers in excess of £320,000. 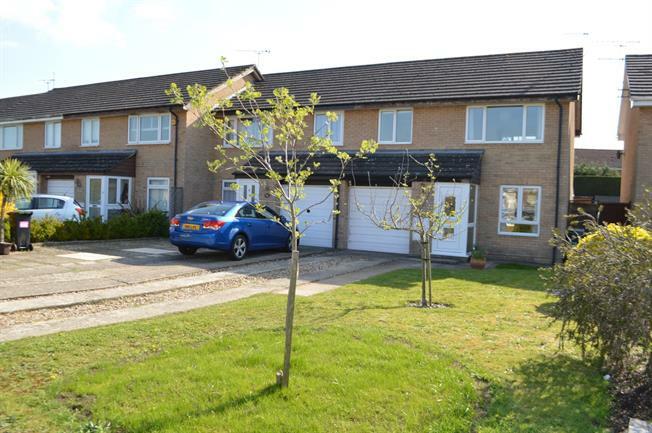 VENDOR SUITED - Palmer Snell are pleased to offer this well presented 3 double bedroom end terraced house with 2 reception rooms and a large UPVC conservatory situated in a quiet cul-de-sac location in Throop close to Castlepoint, the Grammar and Muscliff School. The accommodation comprises a porch, 11'9" lounge, 12'5" dining room, 10'4" modern kitchen, 18'11" UPVC conservatory, 3 first floor double bedrooms, bathroom, off road parking in the front, integral garage with scope to create a 4th bedroom STP and a southerly facing rear garden. Via UPVC double glazed door and side window. Door to lounge. UPVC double glazed French doors to conservatory. Radiator. Space for table and chairs. Stairs to first floor. Door to kitchen. UPVC double glazed window to front aspect. Range of wall and base units. Sink. Space for appliances. Central heating boiler. Tiled walls. Brick base. UPVC construction. Wall light points. Radiator. French doors to rear garden. Loft hatch. Airing cupboard. Doors to accommodation. UPVC double glazed window to rear aspect. Radiator. Built in wardrobe. Wash basin with drawers under. UPVC double glazed window to front aspect. Radiator. Built in wardrobe. Storage cupboard. Frosted UPVC double glazed window to rear aspect. WC. Wash basin. Bath with shower over. Tiled walls. Up and over door. Power and lighting. Fuse box. The front of the property is set back from the road benefitting from a driveway allowing off road parking for 2/3 cars with the remainder being laid to lawn with scope to create further parking if required. The rear garden faces in a southerly direction with a patio off the conservatory and the remainder laid to lawn. Shed space.